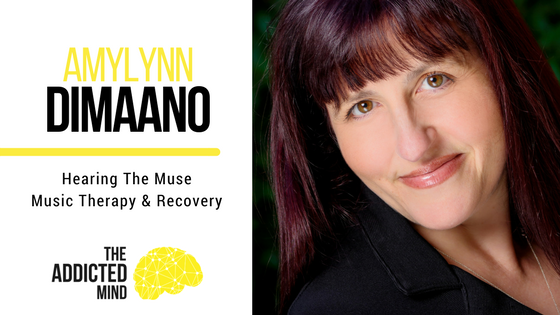 Today our guest is board certified music therapist Amylynn Dimaano. She speaks to us today about music therapy and how music can help us deal with underlining issues in recovery. What is music therapy? Music therapy is the scientific use of music to effect a change in people of non-musical goals. It is not a music lesson, and Amylynn is not a music teacher. Music therapy isn’t about to learning music. Her goals are to help people through mental health therapy that are struggling with depression, anxiety, post-traumatic stress disorder (PTSD), addiction, etc. Music therapy includes elements of traditional therapy as well, such as regulation, relaxation, communication, and accountability. In this therapy, she uses music to open up the wisdom of the individual. We need to use our entire brain to process music – jazz, rock-n-roll, classical, show tunes – to “hear” music you need to use both sides of your brain. Whereas in traditional therapy we mainly use the analytical side. When we add music to the mix we are automatically engaging the other side of the brain. Amylynn gives us an analogy: if you’ve ever broken a bone or been sore on one side of your body, the other side steps in to compensate and help, and adding music therapy is the same type of thing. On one side of our brains, we’re processing emotions and creativity and impulse control. Amylynn adds that these are the things that make someone struggling with addiction fantastic and challenging to work with. At the same time, we want to access the other side of the brain; this side tells us to slow down and think about our decisions. Our emotional wants are on one side of the brain while the other side deals with the more practical thought processes. When we affect both sides of the brain, we can effect change in a more helpful and meaningful fashion. So what does a session with Amylynn look like? As with most therapy, it depends on where that client is at and what their issues are. Amylynn offers individual therapy sessions using the Bonny Method of Guided Imagery and Music (GIM), named after Helen Bonny. Helen Bonny was an amazing music therapist and psychotherapist who programmed the music for the LSD trials of the late 60’s at the Maryland Psychiatric Institute. Bonny learned over time that people could have this same out of body, inner-wisdom, unconscious connection experiences without any drugs at all if the music were correctly programmed. With that, she spent the rest of her life creating this method. It involves a lot of classical music and relaxation techniques. Clients are welcomed to lay on a bed in Amylynn’s office, or sit in a chaise lounge, wherever they feel comfortable, and she picks the music program based on what the client is working on, where they are at in their recovery, and what they need. 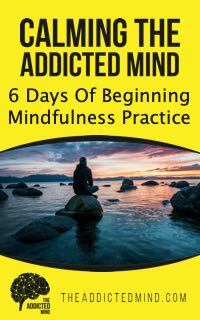 The GIM program is designed, Amylynn jokes, similarly to an LSD trip, where it takes you in slowly and then eventually opens up your mind, takes you to a peak, and then brings you back to a safe place. It can feel almost like dreaming, but she states that you are always in control. Many people feel changed after that. It can give us courage that we had not accessed before. To learn more about AmyLynn you can visit her website.